The Spring Sing Mummers performed at the 2016 Revels Spring Sing and will appear again at this year&apos;s performance. Come to Cary Memorial Library in Lexington on Thursday, March 21, at 2 p.m. to hear a free talk from J. R. Krause, an animator, designer, and author. Krause will read and draw characters from his new picture book, “Dragon Night,” and discuss how Massachusetts inspired the book. Krause has over 500 television credits on The Simpsons and will share a Massachusetts secret from the show. “Dragon Night” will be available for purchase and signing. The library is at 1874 Massachusetts Ave., Lexington. Visit www.jrkrause.com. Acton’s Discovery Museum received a $5,000 grant from the Foundation of MetroWest’s Youth in Philanthropy to support the museum’s Especially for Me program. Especially for Me provides free events for families with children with an autism spectrum disorder, who are deaf or hard of hearing, or who are blind or visually impaired. The grant may fund resources such as accessible programming and American Sign Language interpreters. Visit www.foundationformetrowest.org and www.discoveryacton.org. As warmer weather approaches, why not get out there for a run? The 21st annual 5K Maynard Road Race will take place on Saturday, March 23, at 11 a.m. Proceeds go toward the Boys and Girls Club of Assabet Valley. The entry fee is $35 in advance and $40 day of. A 1-mile children’s race for ages 4 through 11 will take place at 10 a.m., and the entry fee is $25. Entry fees include T-shirts, bibs, prizes, and snacks. Runners who raise more than $500 will receive a gift card to Marx Running in Acton. Registration starts at 9 a.m. at the Battle Road Brew House parking lot, 24 Sudbury Road. For questions, please contact Beth at rau@bgcav.org. For details and to register, visit www.birdeasepro.com/maynardroadrace. The Waltham Public Library presents Manny Paraschos, creator of The Boston Journalism Trail, a 2009 booklet and website. His talk, Boston: Birthplace of American Journalism, will walk the audience through some of Boston’s significant firsts in journalism. It will take place on Wednesday, March 20, 7:15 p.m., in the lecture hall at 735 Main St., Waltham. The program is free and registration is not required. Visit www.waltham.lib.ma.us. 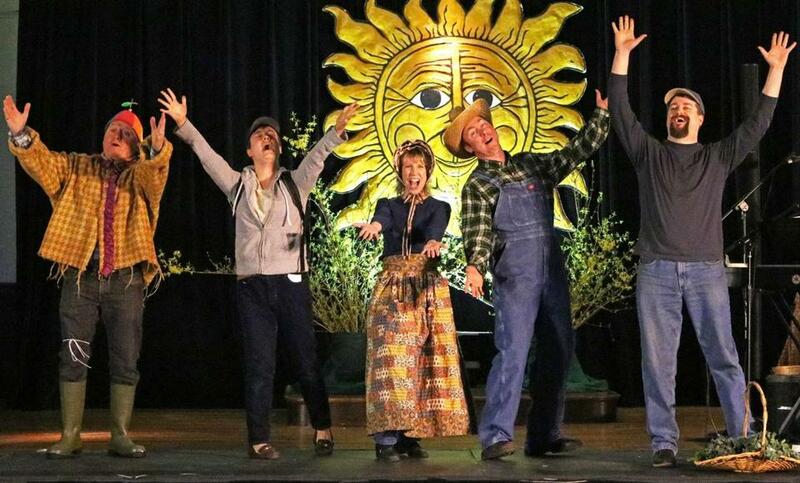 Join a family celebration of the vernal equinox at Revels Spring Sing in Watertown. The community sing and concert will take place on Saturday, March 23, from 2 to 4 p.m. at the Belmont-Watertown United Methodist Church, 80 Mt. Auburn St., Watertown. Doors open at 1:30 p.m., and cookies and cider will be served. Tickets are $20 for adults and $8 for children 11 and under. For tickets, visit www.revels.org/springsing.